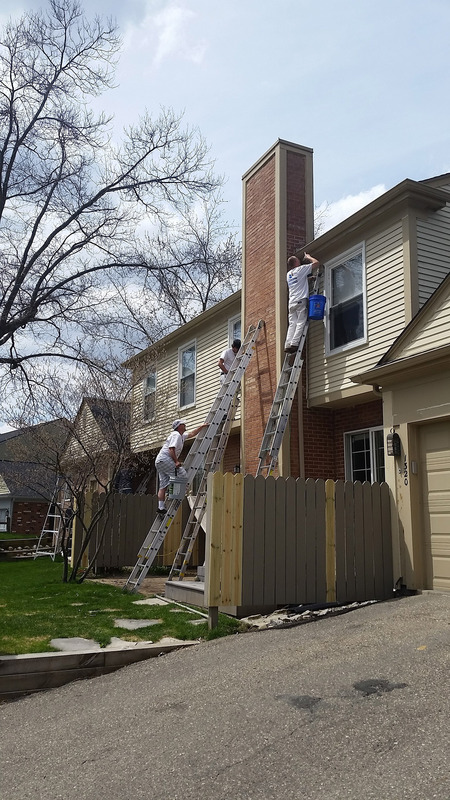 If you are in need of a top rated Oxford MI Painting Service, please contact SJB Painting at (248) 802-7465 for a free estimate. Click here to learn more about us or Follow Us on Facebook! In the day of DIY, many people wonder what the benefits of hiring professional painters are. If you’re thinking about painting your home or business’ interior or exterior, then think twice before trying to do it yourself. As you may already know, painting is a very challenging job that requires skill, finesse, and incredible patience. Hiring a professional painting contractor will provide much better results for both your home’s interior and exterior. Professionals know that preparing your home’s interior or exterior for painting is the most important step in the entire painting process. Without the proper techniques, your new coat of paint will fail very quickly, which wastes both time and money. Your painting contractors will also make sure to protect your landscaping, furniture, and other delicate home features. Painting the exterior of a two-story home can be very dangerous. Painting requires concentration and focus, which may be difficult to achieve when hanging 30 feet above the ground. Your professional painters will have all the ladders and scaffolds they need to perform the job safely. Never work with a home contractor of any kind that isn’t fully insured and licensed. Choosing a truly professional painting company will protect you in case of an accident around your home. You can expect your painting contractor to provide a quality of work that cannot be achieved by an amateur. Your home should look picture-perfect and be painted to your precise specifications. Finally, professional cleaning crews will always pick up after themselves, so you’ll never have to worry about coming home to a freshly painted but messy home. For a professional and experienced Oxford MI Painting Service, please call SJB Painting at (248) 802-7465 for a free quote.